Love this great summer time look. I love your skirt, and the picture of you holding your husband's hand (I assume it is your husband), is the sweetest picture ever! hah yes its my husband. 🙂 That you so much! Means a lot! Great styling of the gingham shirt with the cut out skirt! Love the photo of you holding hands. Your outfit is so cute!! You're so pretty!! Perfect look! I love this skirt, it looks so chic! You look adorable and so perfect for the holiday weekend! Such a beautiful look! I adore the mix of prints and textures. 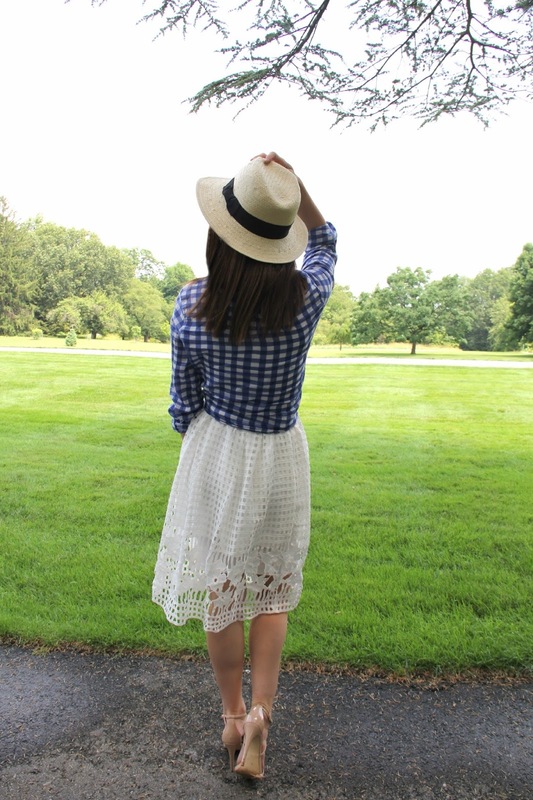 I never would have thought to wear gingham and lace together, but I'm loving the combo here! Super cute and chic. Bethany you look amazing, and what a beautiful look. In love with that skit. Also adoring your new hair. haha Right? It always goes better in my head. Thank you! Beautiful photos! And you're so brave moving to a new city like that… I hope it continues to go well! 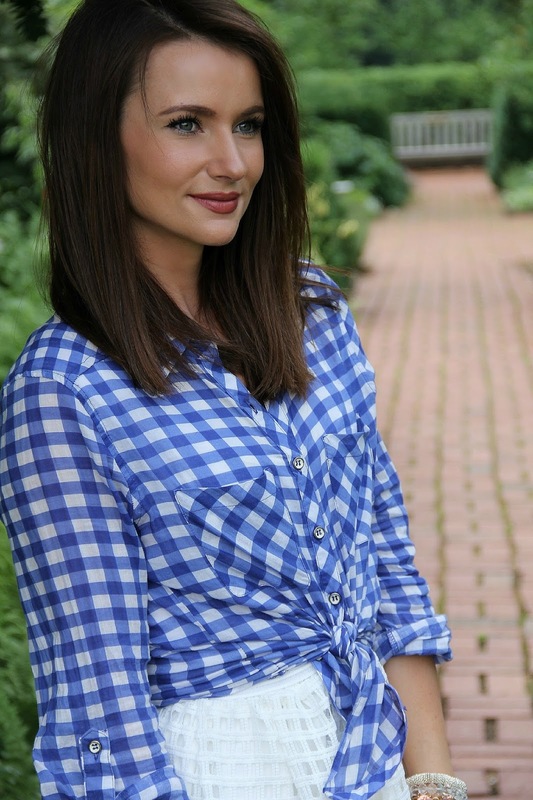 Nothing says Summer quite like gingham and your outfit is perfect for a dressy Summer night! love the shirt and the skirt, such a nice look! I'm in love with your outfit, it's beautiful… you are beautiful!